Best known for his screen prints of soup cans and movie stars, this shy young boy from Pittsburgh shot to fame with his radical ideas of what "art" could be. Working in the aptly named "Factory," Warhol's paintings, movies, and eccentric lifestyle blurred the lines between pop culture and art, ushering in the Pop Art movement and, with it, a national obsession. 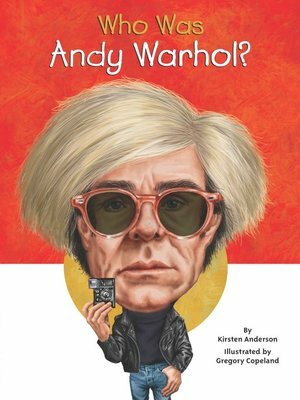 Who Was Andy Warhol? tells the story of an enigmatic man who grew into a cultural icon. Kirsten Anderson is a freelance writer and actress who lives in New York City with her charming Pomeranian, Sunflower.